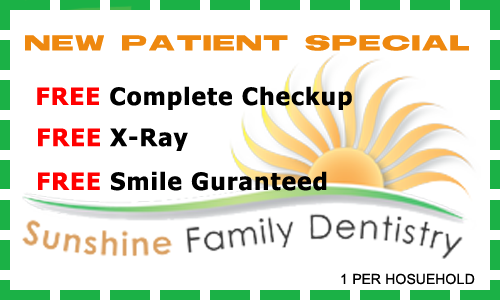 You will find the prices at Sunshine Family Dentistry to be fair and competitive priced. We understand that dentistry can be costly to your family and we are truly here to make your dental experience to be as pleasant as possible, including the prices. We want to build relationships and keep our patients happy with bright smiles for years to come! Continuing Education is something we at Sunshine Family Dentistry take very seriously. By constantly educating ourselves our patients are always provided with the utmost standard of care. Dr. Chou has taken 2 years of continuing education courses in Orthodontics (braces) before he started providing this service to the patients. Dr. Magnis has spent 4 years after dental school specializing in dental implants and is a Diplomat Of American Academy of Implant Dentistry/Oral Implantology. Although the requirement by most states is 50 hours of Continuing Education every two years, our doctors obtain three to four times more continuing education courses in order to incorporate the best techniques and materials in our office. As a patient, it is important to be aware of the technology, equipment, and materials used. As new technologies emerge and procedures evolve, patients are provided with better results and less discomfort. A dentist should offer the newest, most effective FDA-approved technology for optimal safety and results. Many of these new technologies provide highly accurate measurements and micro tooling technology for optimum esthetic results and healing time for recovery. We work with the best lab in Kern County and Los Angeles. All crowns, implants and dental materials are of superior quality and made in the U.S.A. Some patients may be enticed to visit a dentist based solely on advertised discounts. While the price of the procedure can be a factor when choosing dental treatment, other important factors should be considered also. The skill, training, and experience are things that also should be evaluated. Visiting a dentist based only on price is gambling with one's mouth.